It has come to H.S.H. Prince Freï’s attention that someone (probably non-resident in Lorenzburg) is creating chaos at the recycling station at Fogdemyr Street. 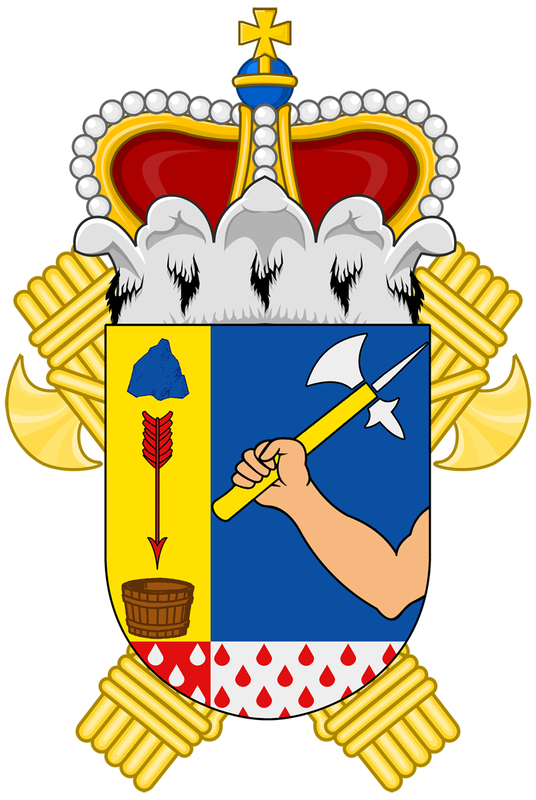 “Azure an arm Proper coming from the sinister edge holding a war axe in Or and Argent, a side Or under a stone Azure a reversed arrow Gules pointing towards a wooden tub Proper, a champagne Argent with a semy of drops Gules, and the champagne a side Gules with a semy of drops Argant. Previous Previous post: Happy New Year from Lorenzburg!